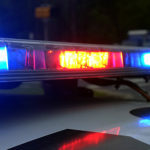 Over the past five weeks, Montgomery County Police’s Alcohol Holiday Task Force arrested 208 people for driving under the influence of alcohol and/or drugs. The task force not only consists of officers from six police districts, it also includes Maryland State Police troopers, Montgomery County sheriff deputies, officers from the Gaithersburg Police Department, as well as the Rockville City Police Department, and officers from the Montgomery County division of the Maryland National Capital Park Police Department. Since Nov. 14, these officers have worked full time tracking alcohol-related offenses during the holiday season. They started before Thanksgiving, and they will continue working through the new year until Jan. 5. Throughout the holiday season the officers been enforcing traffic laws in areas that statistically have a high number of alcohol-related collisions. They’ve set up sobriety checkpoints in these areas that are more likely to encounter drivers under the influence of drugs and alcohol. The goal of the task force is to keep intoxicated and impaired drivers off the roads. They also respond to underage drinking parties, where they issue citations to anyone under the age of 21. Adults hosting parties like this are also held accountable. As Christmas and New Year’s Eve approaches, the Task Force reminds everyone not to drink and drive—not even short distances. 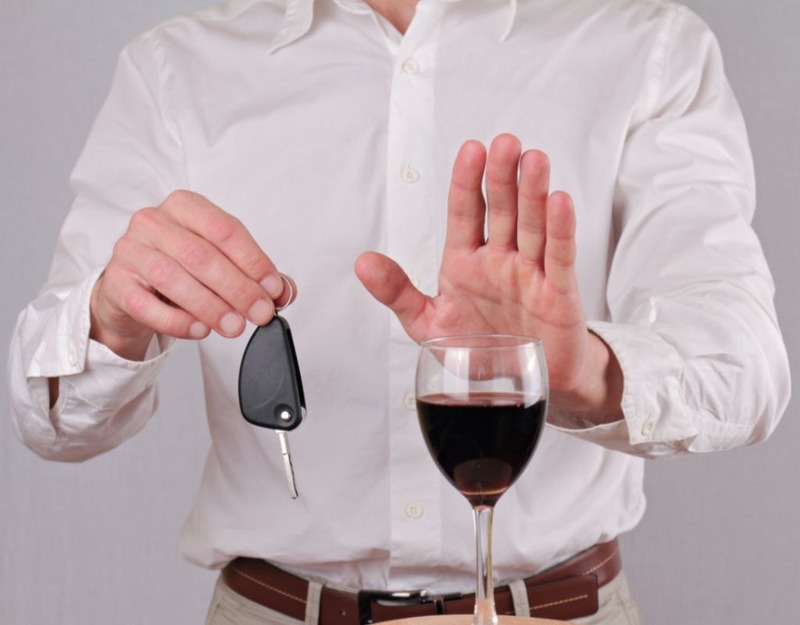 Moreover, individuals who to drink must include a sober driver in their plans. 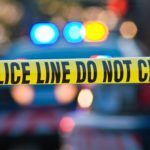 If you notice anyone driving under the influence, call 911 immediately. 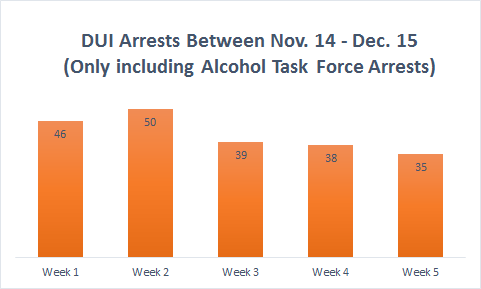 The data below indicates all of the DUI arrests made by the Alcohol Holiday Task Force since November. This data doesn’t include DUI arrests made by patrol officers who are not in the task force. The total number of DUI arrests made by Montgomery County Police since Nov. 14 is higher than 208.